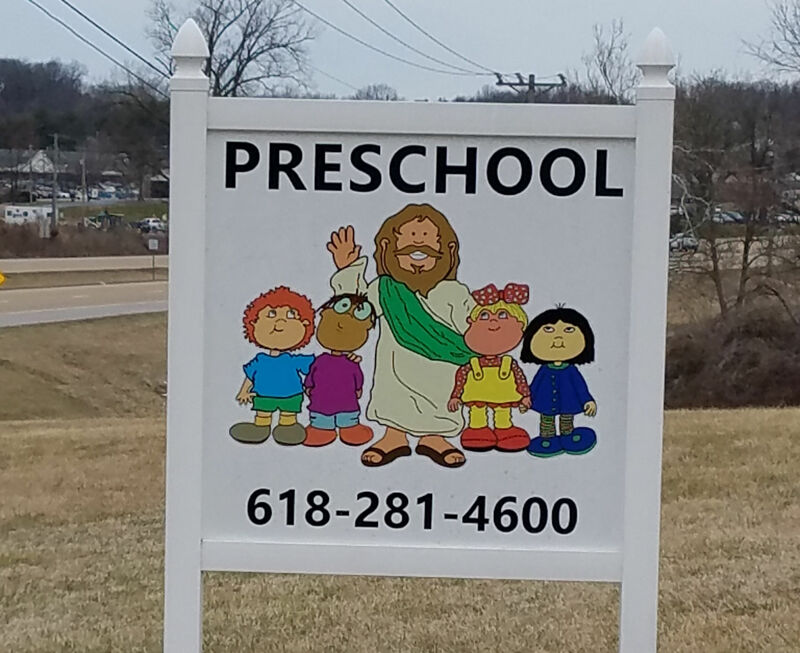 Jesus said, “Let the children come to me and do not hinder them for to such belongs the kingdom of God.” St. Paul’s Lutheran Preschool exists to fulfill Jesus’ words and to assist the young child’s spiritual, social, intellectual, emotional, and physical development through exploration and play. Our DCFS licensed preschool program provides a Christ-centered education to meet the needs of young children. We include activities which focus on Bible centered lessons, physical activities, and development of social skills. Throughout the year your child will be introduced to many skills, concepts and themes. Our preschool will teach your child the necessary skills they need to succeed in Kindergarten and beyond. We take several field trips throughout the year. We have picked apples and pumpkins, gone bowling, visited Powder Valley and The Magic House. The school year concludes with a Fun Day including Ponies!. Times: 9:00-12:00 P.M. 9:00-12:00 P.M. The registration cost is a nonrefundable $50.00 fee. For more information, please call our Program Director Shelly Augustin at the Preschool Office at (618) 281-4190, or the Church Office at (618) 281-4600.